To receive a Diploma in any of the majors, students must satisfactorily complete the required credit hours for his/her major, with a cumulative average of 65 percent. 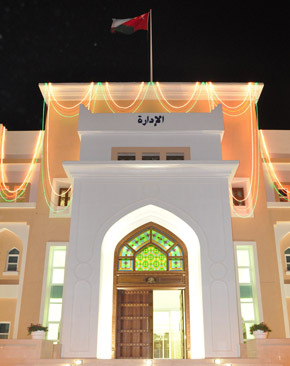 To receive a Bachelor Degree in any of the majors, the student must satisfactorily complete the required credit hours for his/her major with an overall minimum average of 65 percent, (Except for Bachelor of Science in Architectural Engineering – 70 percent) and a cumulative average of 70 percent in the major courses. The total number of required credits varies by major. 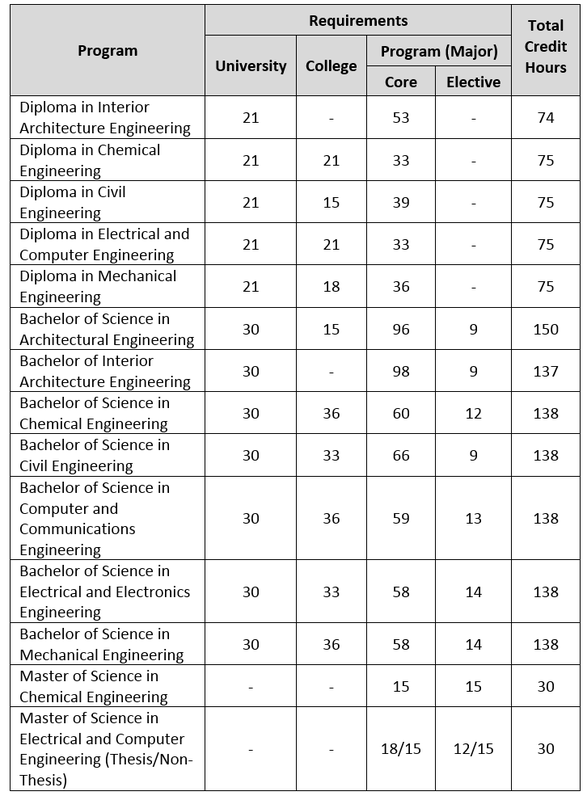 The following table summarizes the number of credits normally required for each undergraduate program in College of Engineering.